First appearing on television screens in 1981 the Care Bears are a group of colourful bears that live in the clouds, each bear is named after a trait and each bear has a symbol on their belly representing this trait. The Care Bears originally started their debut through TV specials airing between 1983 till 1985. In 1985 the Care Bears were given their own television series which was very popular amongst young children but before the television series was released we were given a movie based completely on the Care Bears toy line. 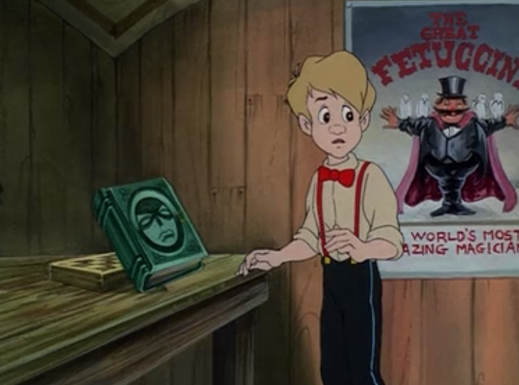 The movie starts in an orphanage where one of the staff voiced by Mickey Rooney is reading the story of the Care Bears to the children. The Care Bears live in a land of clouds called Carealot, The Care Bears have the ability to travel to earth to help those who don’t care any more, the reason they do this is because the stability of Carealot depends on people on earth caring about each other, while visiting Earth the Care Bears try to befriend two young siblings called Kim and Jason. Kim and Jason have given up about caring for people because both of their Parents left them at an orphanage at a young age, the Care bears want to befriend Kim and Jason to show them that they will not always be alone and to hopefully get them to care again. Not much later and we are introduced to some new characters a magician and his apprentice Nicholas. Nicholas is a young boy who has never had a friend in his entire life, this has made him very depressed and angry at the world, an evil spirit trapped inside a book encourages Nicholas to set it free and in exchange it will teach Nicholas how to be more recognised. A desperate Nicholas agrees to the deal and he uses a key to unlock the book releasing the spirit inside. 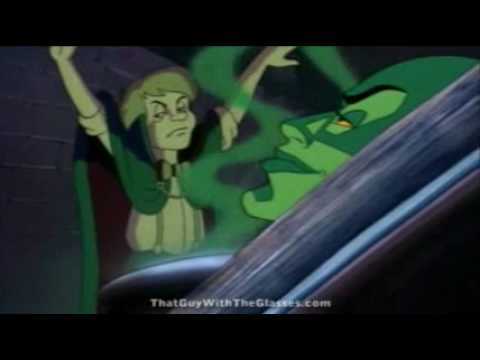 The evil spirit starts teaching Nicholas dark magic which Nicholas uses to turn people against each other and eventually taking all of the care out of the world. Of course this has massive effects on the stability and the well being of Carealot so the Care Bears quickly investigate and learn about Nicholas and the reasons he is angry at everyone, after quickly realising that all three of these children need people to care about they all decide to head to earth to find Nicholas, but just as they start to transport the transporter is destroyed sending the children and the two Care Bears to a land between worlds. The remaining Care Bears decide to get aboard a boat and travel down a river in the clouds in the hopes that they will find the children and the missing Care Bears, they eventually find the children and the other two Care Bears in a new land called the Forest of Feelings, here they meet some new animal friends including Brave Heart Lion, Swift Heart Rabbit, Playful Heart Monkey and Lotsa Heart Elephant. The animals join the children and the Care Bears in their quest and they all head out together on a big adventure to save Nicholas from the evil spirit. 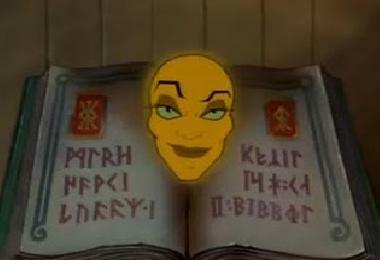 The animation is basic to say the least, it looks more like a direct to VHS release than it does a movie that got released into theatres, it’s not terrible though the animation plays very smoothly and the movies use of shadows and shading is very impressive, the only real problem I had with the animation is that most of the time the characters lips don’t sync with what they are saying and this can be very distracting. The songs in this movie are just awful, they are all very forgetful and genuinely annoying with lyrics that make very little sense, every song in the movie honestly feels like it’s just there for filler and I wouldn’t be surprised if that’s the case. 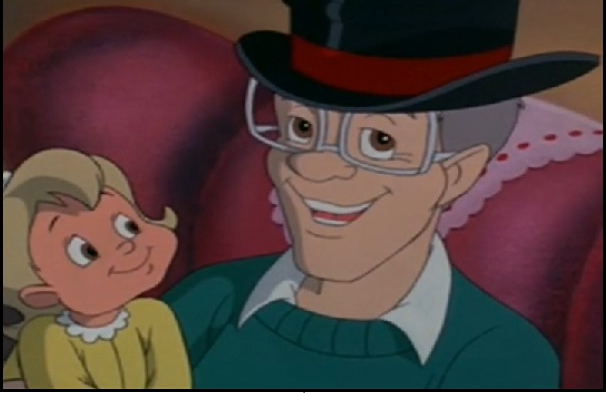 The Care Bears Movie is not one of the best children’s movies I have ever had to sit through, the plot is not very interesting, the animation is fairly basic with the exception of the films use of shadows and shading, the songs are not fun to listen too in the slightest and apart from a pretty cool villain the movie is really bad. I suggest skipping this one unless you have very young children who you want to keep quiet for an hour. 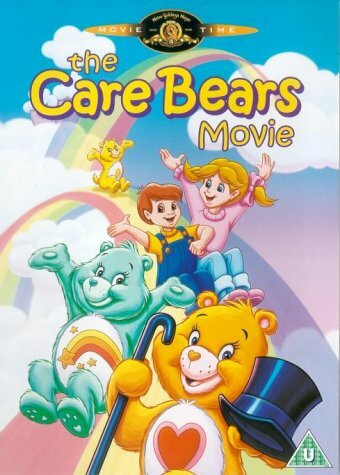 As a Care Bears fan, I respect your opinion on this movie (I still love this movie, but I am aware of its flaws and there are better animated films out there, like Disney’s animated classics such as Pinocchio, Lion King and Don Bluth’s animated movies like Secret of NIMH, An American Tail, All Dogs go to Heaven). What I find funny is Kim and Jason share two of the names of the original Power Rangers. One other thing to say though, the Care Bears first showed on TV in 1983, not 1981. Just wanted to point that out, sorry if I sound rude. Thank you for your input, I’m pleased you enjoyed the film,perhaps you could write a review your self some day with more positive things to say about it , it would be really cool to read, thanks for letting me know about the mistake regarding the care bears first appearing on TV I will look into getting that updated. No problem, and I am planning on doing a review soon. Hi there everyone, it’s my first pay a quick visit at this website, and article is genuinely fruitful in favor of me, keep up posting these types of posts.